Gina Ferris Vaughan was born on December 20, 1954 in Little Rock, Arkansas, USA, daughter of Beth, an executive secretary, and Vernon Vaughan, an electrician. She raised and still resides in central Arkansas. She prepared for her writing career with a degree in journalism from Arkansas State University. In February 1972, she married John Wilkins, a wood turner, and they had three children—two daughters and a son. With her husband, her most loyal supporter, she have raised their three extraordinary children, all pursuing careers in science and medicine. She working in advertising and audio-visual production until fulfilling a lifelong dream with the sale of her first book, a romance novel to to Harlequin Temptation in 1986, and she has been a full-time writer ever since. Bestselling and award-winning author, she was a four-time winner of the prestigious Maggie Award for Excellence and a former nominee for a Lifetime Achievement Award by Romantic Times Magazine, she has written more than ninety books for Harlequin/Silhouette. Her books are translated into 20 languages. 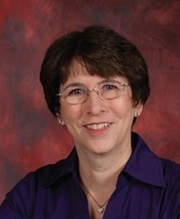 A member of Romance Writers of America, Diamond State Romance Writers and Novelists, Inc., she is a past president of Fiction Writers of Central Arkansas. She is a frequent speaker at civic organizations and writers' clubs, but she particularly enjoys speaking to middle-school and high-school students about literacy and goal setting. Gina Wilkins is currently considered a "single author." If one or more works are by a distinct, homonymous authors, go ahead and split the author. Gina Wilkins is composed of 3 names. You can examine and separate out names.